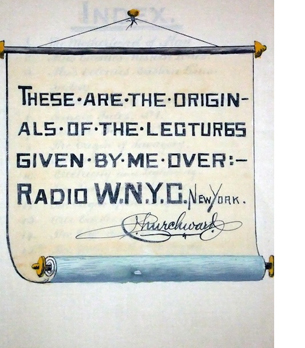 Between 1924 and 1925, world traveler, inventor, geologist, archeologist, metalurgical chemist and researcher James Churchward delivered more than two dozen lectures over WNYC. A former colonel in the British Army, Churchward gave talks based on decades of research that focused on what he called, ‘the motherland of man,’ the lost continent of Mu. Churchward began his quest to prove the existence of Mu in 1868 as a young English officer on famine relief duty in India. There, he befriended a high priest at a temple school monastery who revealed to him ancient tablets written in Naacal, a language known only to a dwindling few. 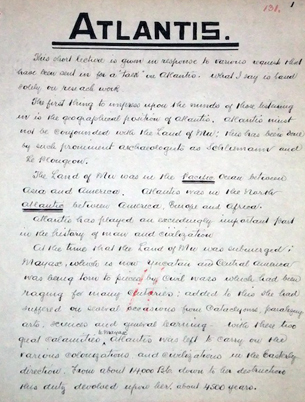 The priest reportedly taught Churchward how to read this language and the tablets which described the lost continent of Mu. So began Churchward’s lifelong project to corroborate the tablets. 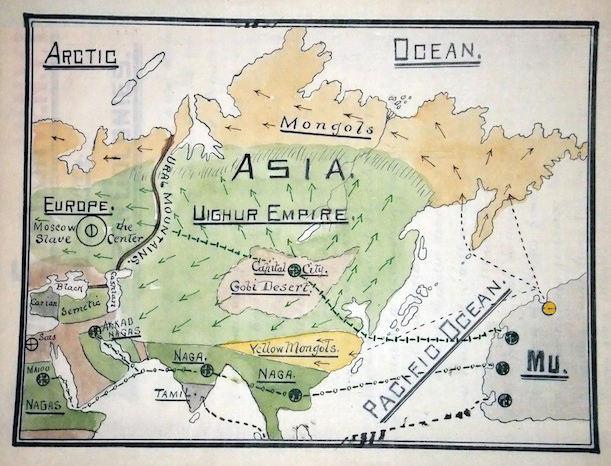 In his WNYC talks Churchward discussed many of his discoveries and findings, conclusions he detailed in The Lost Continent of Mu: Motherland of Man, published in 1926. 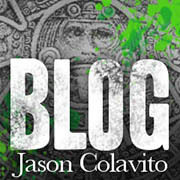 This work was followed by The Children of Mu, The Sacred Symbols of Mu, and two volumes on The Cosmic Forces of Mu. 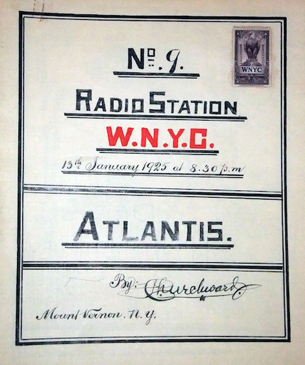 Eighty-seven years ago today, Churchward spoke for 15 minutes about Atlantis, Egypt and Greece. 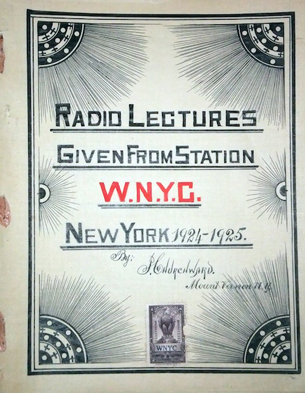 The above two pages are from Churchward’s original WNYC broadcast scripts and have been reproduced courtesy of the Las Vegas-based publisher Brotherhood of Life, which intends to publish the whole set of 251 pages. These also include Churchward’s diagrams, paintings and colored maps like the one featured below. Churchward’s writings have been a source of material and inspiration for many others, including the work of H.P. Lovecraft and the British-based electronic music record label Planet Mu. 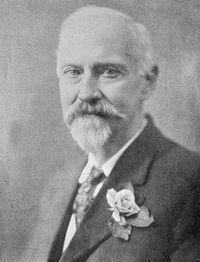 Jack Churchward, the great grandson of James Churchward, maintains a detailed website aimed at promoting a more complete understanding of James Churchward’s writings and theories. Thanks to Richard Buhler and Jack Churchward for their assistance with this piece. “Col. Churchward, Author, Dies at 86,” The New York Times, January 5, 1936, pg. N10. “On the Radio Last Night.” The Brooklyn Daily Eagle, May 2, 1925, pg.11.